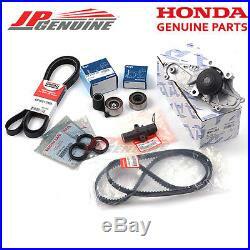 GENUINE HONDA ACURA V6 AISIN WATER PUMP KOYO TENSIONER DRIVE & TIMING BELT KIT. Quick Response Via eBays Messaging System. We Pay for All U. Same Day Order by 11:00am EST. THIS TIMING BELT WATER PUMP KIT INCLUDES. 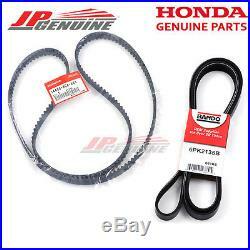 Honda Timing Belt 14400-RCA-A01 x1. 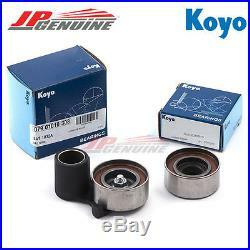 Koyo Idler Tensioner 14550-RCA-A01 x1. 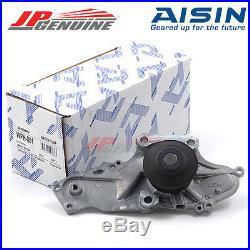 Aisin Water Pump 19200-RDV-J01 x1. Honda Hydraulic Tensioner 14520-RCA-A01 x1. Honda Camshaft Seal 91213-R70-A02 x2. Honda Crank Seal 91212-R70-A02 x1. Bando Drive Belt 38920-RCA-A03 x1. ITEM: Honda Acura Timing Belt Water Pump Kit. BRAND: Honda, Aisin, Koyo, Bando. 14400-RCA-A01, 14550-RCA-A01, 14510-RCA-A01 TMKIT-HON-001-M 19200-RDV-J01, 14520-RCA-A01, 91213-R70-A02. 100% Brand new and Never used. Product come with Genuine Factory label & package. The note there will not be read. We highly recommend professional installation for all products, installation instructions are not included in some products. If item is claimed as not fit, professional proof is required. In case the item is back order, we will inform our customers about the approximate wait time. We will contact the UPS. If they confirms the parcel lost, we will send the item to you again. We will work with you to resolve the problem. If customer believes that the item does not fit your car, we highly recommended our customer to go the professional installation or get more information about how the item does not fit. We might need some pictures to prove to us how the item does not fit. If you are not satisfied, please let us know so we can make it right. Add JP-Genuine to your favorite stores and receive our exclusive emails about new items and special promotions! 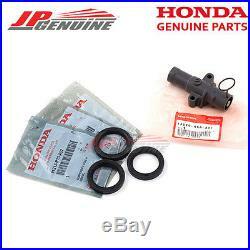 The item "GENUINE HONDA ACURA V6 AISIN WATER PUMP KOYO TENSIONER DRIVE & TIMING BELT KIT" is in sale since Sunday, November 27, 2016.